Sometimes my boys are like chimps at the zoo when they play. They rumble, tumble and chase each other round the house so many times that I get dizzy watching them. Here are some calming play ideas to help your little one wind down at the end of the day, or just for those times when you need to quieten the house. 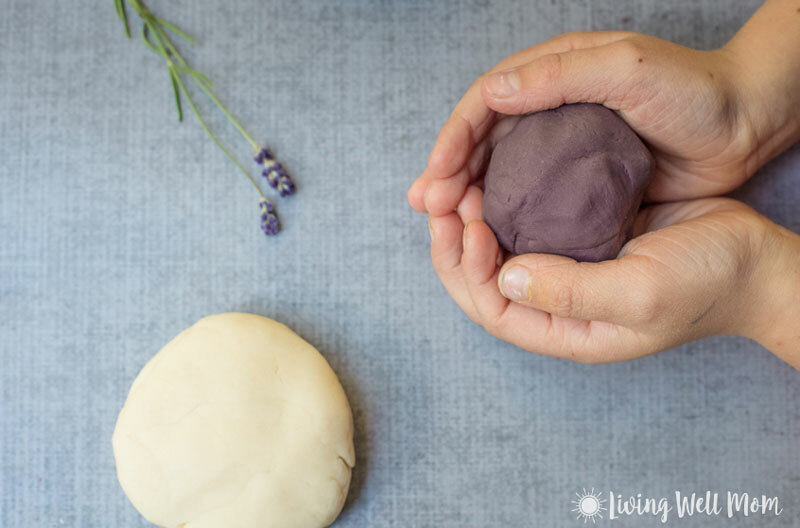 All toddlers love to squish and mould playdough, which in itself is a relaxing activity, but add a dash of lavender oil to their favourite pastime and they’ll also enjoy it’s calming aroma. Here’s the recipe from Living Well Mom. Simply toss a few cushions on the floor of a ‘tent’ made out of an old sheet (we do this by throwing one over a couple of chairs) to create a snugly reading haven. 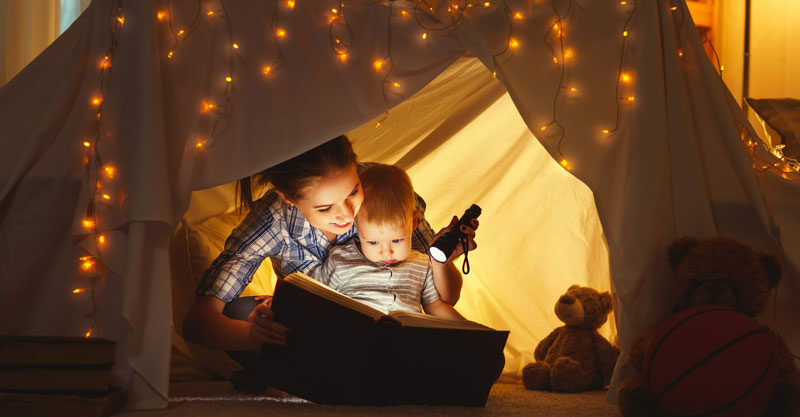 Give your little ones a torch if it’s dark and a basket of books for them to flip through. This one couldn’t be easier. Spread out a picnic rug on the floor and place a puzzle, building blocks or other quiet construction toys in the middle. For some reason, my boys are more likely to sit and focus on an activity when there’s a designated play spot. Simply add some glitter, food colouring and calming lavender essential oil to a zip-lock bag of salt to make pretty glitter salt (from The Imagination Tree). 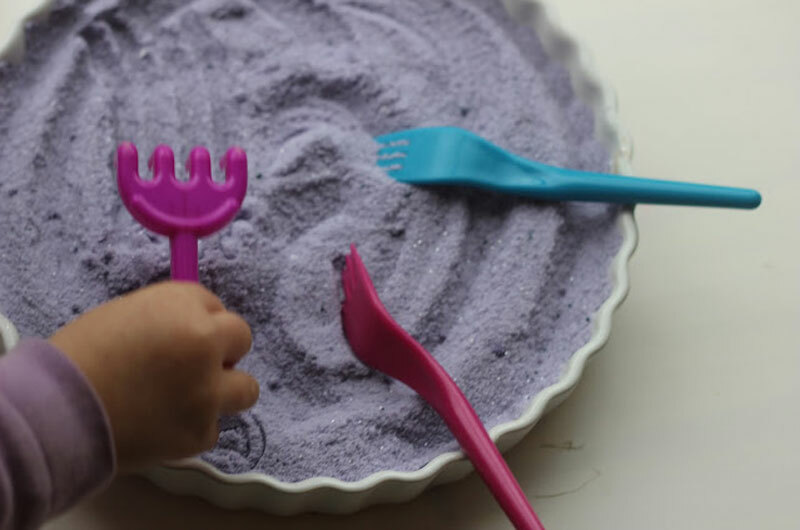 Then, pour it into a tray with some sand toys and your toddler will have a magical zen garden to explore. My sons’ kindy always play spa-like music when I drop them off. It’s relaxing and even I walk away feeling calmer after the morning daycare rush. Change your household atmosphere by flicking on some calming music. There is something mesmerising and hypnotic about looking at a flame. Light some candles for your child (out of their reach, of course!) and watch as the flame stills and captivates them. 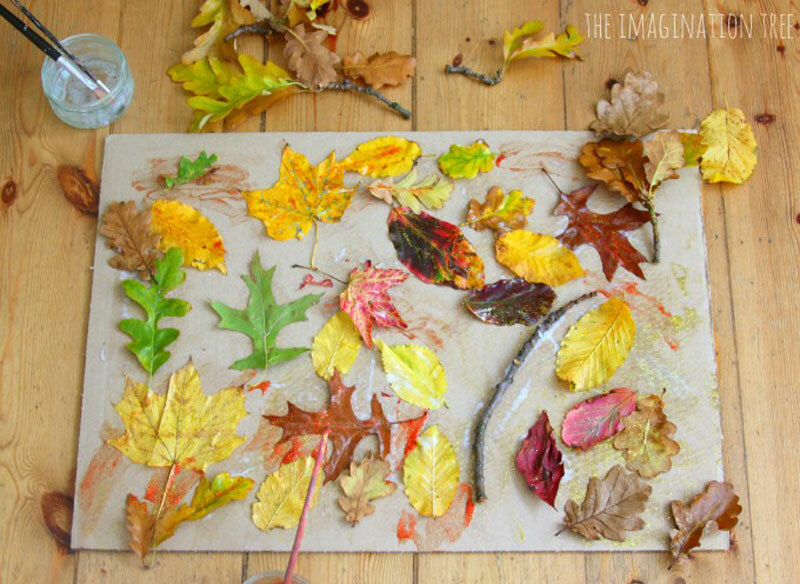 All you need is some leaves gathered from the garden and glue to create this sweet nature picture (from The Imagination Tree). The simple task of walking outside to gather the leaves and then gluing and pressing them onto paper is beautifully unwinding. Focusing on staying within the lines and bringing a picture to life with colour is wonderfully calming – for little kids and adults alike. Grab yourself one of the many grown up colouring books in the shops these days and rediscover this soothing activity with your child. All you need is an old toilet roll and a ball of wool to make a pom pom (check out this how-to from The Craft Train). 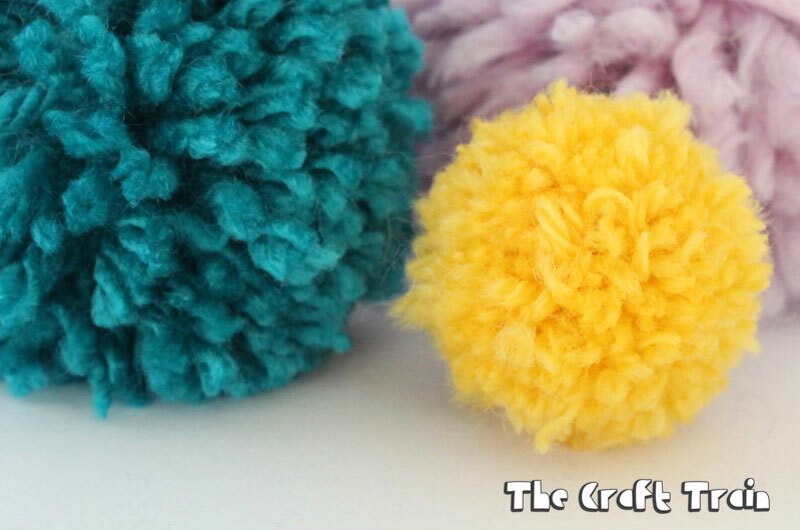 Cute, colourful and best off all, pom-pom making is relaxing fun. A lovely soak in the tub is relaxing for anyone. Rather than rush your kids through this part of the day though, try using it as a way to wind them down. Pour in some bubble bath with a splash of essential oils like lavender, chamomile or cedar wood and encourage them to relax in the warm water. Leave washing their hair for another night if this brings on the bath time battles. 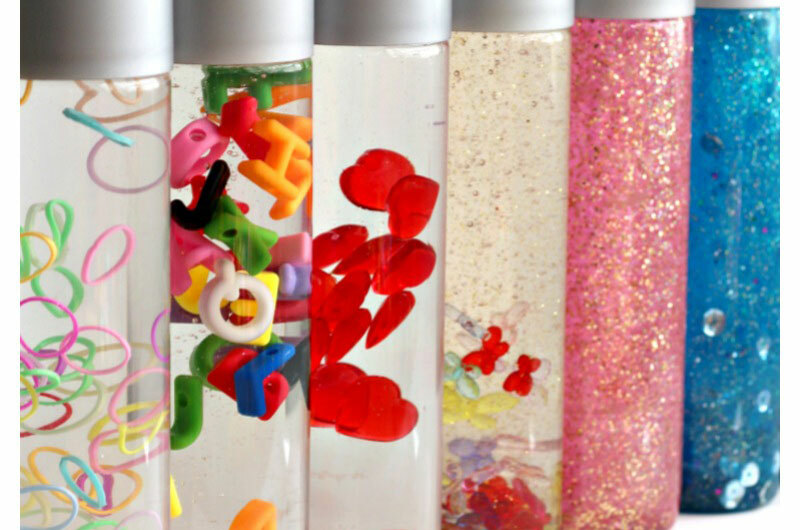 Plastic bottles filled with water and glitter and other things are mesmerising to little ones. As they turn them upside down and watch the sparkles float about, they will also start to mellow. Check out the easy how-to instructions to make your own from Rhythms of Play.